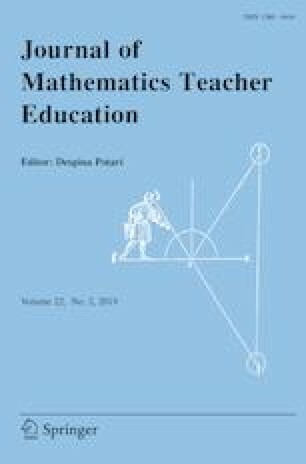 This paper raises the possibility of enhancing prospective and practicing teachers’ awareness of example use in classrooms by using theories to analyze an authentic case. The study was carried out in the context of a university course where participants analyzed an excerpt from a tenth-grade geometry class. A qualitative analysis of participants’ comments related to example use in the case revealed that different participants related to different theories when discussing the same example. The most frequent aspect of example use noted was the psychological aspect, such as the use of intuitive and non-intuitive examples. In general, teachers felt that the case activity contributed to their understanding of example use in the classroom, although not necessarily to a great extent. One implication of the study is that analyzing an authentic case while focusing on certain theories, such as example use, may serve as a rehearsal for the teacher who wishes to reflect on and analyze example use in her or his classroom. Thus, theory is brought into the practice of teaching. This research was supported by The Trump Foundation (grant No. 145).